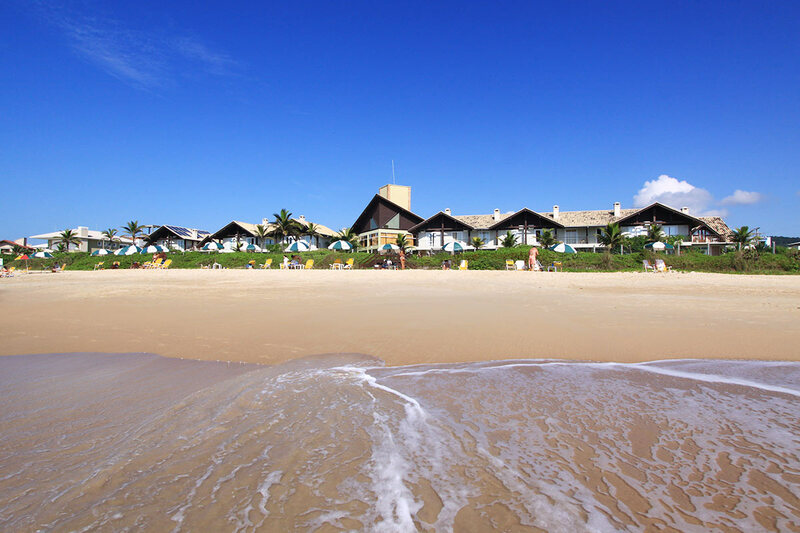 Morada do Guaruçá Resort offers you a privileged view of Mariscal Beach in Bombinhas. By the sea, spacious, well-equipped and comfortable apartments. Ideal option for those who want to relax and rest. 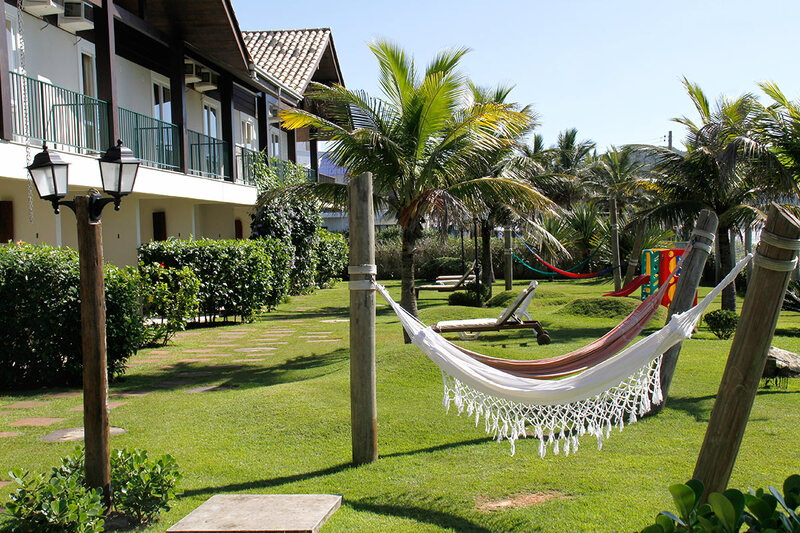 Come and meet us, bring your family and friends and enjoy unforgettable moments on one of the most beautiful beaches in Santa Catarina. 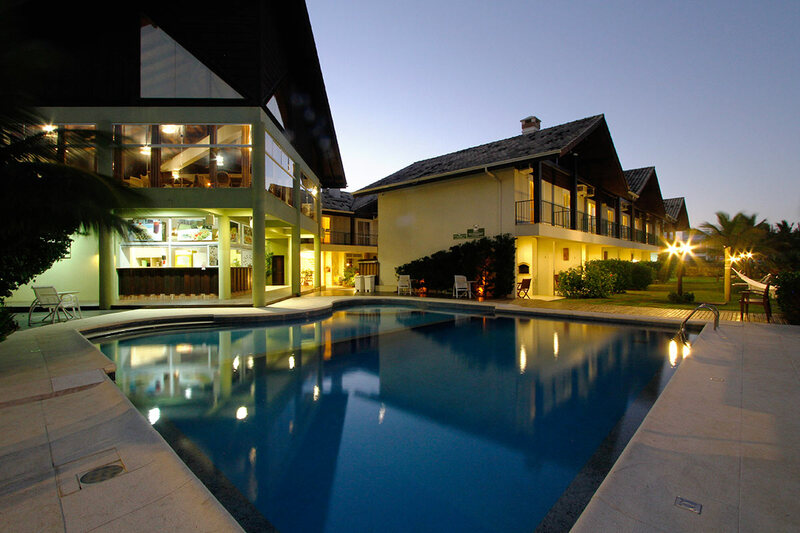 Outdoor pool with two levels of depth for children and adults and a whirlpool for you to relax and enjoy. Our structure was developed with the aim of offering comfort and practicality to our customers. Beachfront spacious apartments with full kitchen and BBQ on the porch for you to feel at home. 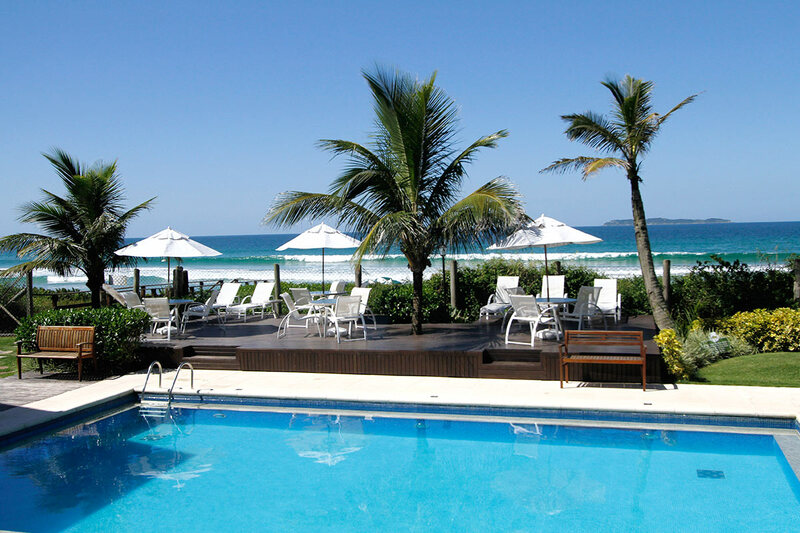 Adult and child swimming pool, beach service (chairs and umbrellas), daily maid service, bar service à la carte, recreation (high season). Hotel Activities for your well-deserved break. 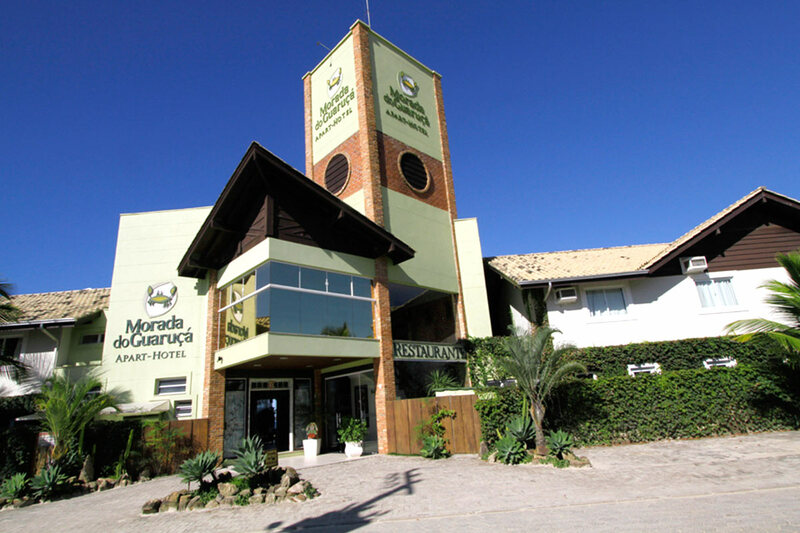 Come and enjoy the marvels of the Santa Catarina coast. 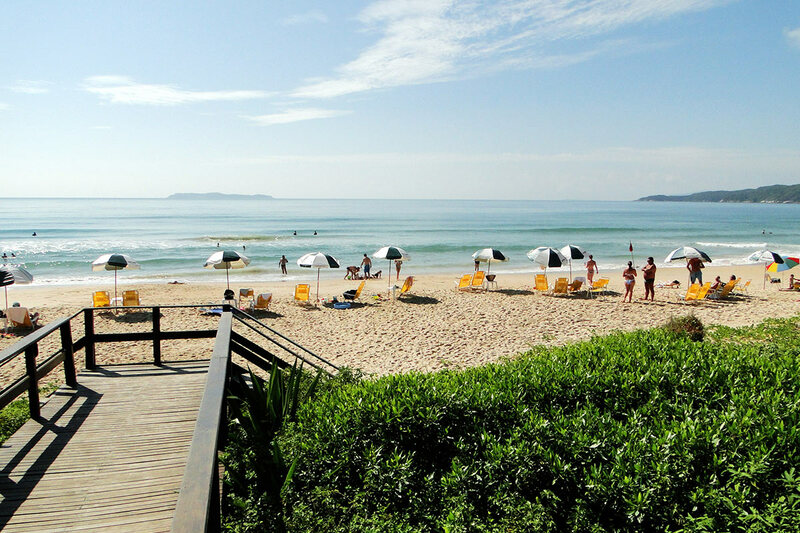 With very clean waters and medium sized waves is much sought after by swimmers and surfers. The vegetation in the well-preserved beach paints of green all its border, approaching the tourist to the nature. A quiet beach, with white and abundant sand for all tastes.